(Natural News) Diet plays an essential role in the health of diabetic patients. Leafy greens, fatty fish, and whole grains are just some of the foods typically recommended to both Type 1 and Type 2 diabetes sufferers. A vegetable that would fit right into this diet is the artichoke, says a study published in the Australian Journal of Basic and Applied Sciences. What’s so great about artichokes? The answer lies in their nutritional content: Artichokes, especially the heads, are rich in natural antioxidants. According to researcher Fizah Mosaed Mohamad Al-Subhi, artichokes contain large amounts of flavonoids and phenolic acids. These compounds can benefit diabetic patients by reducing low-density lipoprotein (LDL) or bad cholesterol levels. Consequently, this leads to diabetes symptoms becoming more manageable and greatly reduces the risks of a heart condition, which diabetic patients are prone to having. To come to this conclusion, Al-Subhi first acquired dry artichoke head and leaf samples that underwent testing to assess their nutritional profiles. The tests showed that the head, while lower in fiber (29.61 percent versus 32.41 percent), contained more protein than the leaves (17.85 percent versus 9.54 percent). Artichoke head was also noted as having more free total flavonoids (9.95 mg/g dry weight) and free total phenolic compounds (14.16 mg/g dry weight). About 48 rats were used for the second half of the study. For a whole week, all animals were fed a basal diet. The rats were then divided into two groups, with one group continuing the diet as is and the other being injected with streptozotocin to make the rats diabetic and hypercholesterolemic. The second group was then further divided into seven subgroups. 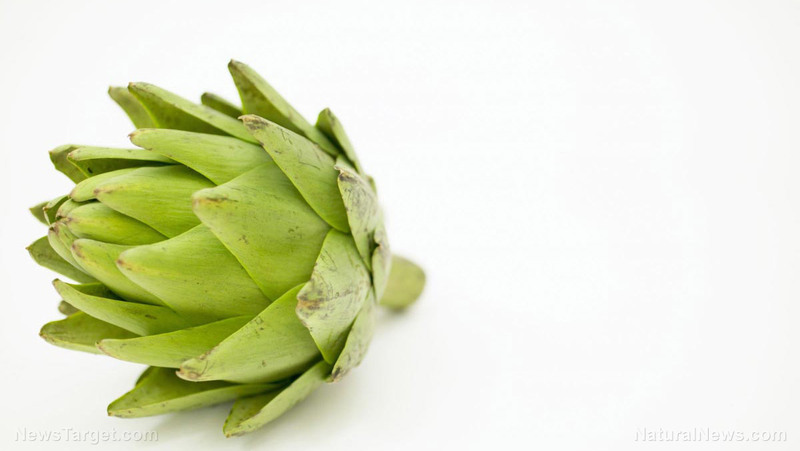 While one group served as the control, the rest were given varying doses of artichoke head or leaf extract for four weeks in addition to the basal diet. Blood samples were collected at the end of the experiment. Of the diabetic and hypercholesterolemic rats, the group that showed the most improvement were the ones administered 600 mg/kg body weight (b.wt) of artichoke head extract. Their serum total lipids, serum total cholesterol, and triglycerides had gone down significantly, resulting in reduced LDL level and elevated high-density lipoprotein (HDL) or good cholesterol levels. Based on these results, Al-Subhi concluded that artichokes lower bad cholesterol levels, and are, therefore, good additions to the diets of both diabetic and heart disease patients. Those who have never tried artichokes before may find them intimidating at first. Luckily, eating artichokes is relatively easy. All that’s needed is an artichoke and a sauce or dip. Melted butter and mayonnaise are the most popular dips, but you can keep it healthy by going with hummus or a bean dip. Begin by pulling off one of the outer leaves. If cooked properly, the leaf should come off without a hitch. Dip the fleshy base into the sauce or dip of your choice. Place this end in your mouth then pull it through clenched teeth to scrape out the soft and pulpy meat. Discard the leaf and continue with the previous steps until all leaves have been removed and eaten. Once you’ve reached the heart of the artichoke, scoop out the fuzzy part or the “choke” with a spoon. The rest of this layer is inedible so avoid eating it. Cut the heart into pieces and enjoy it with the sauce or dip. Visit Nutrients.news to read up on more foods to include in your healthy diet.